In the 1990s, beekeepers started recording major losses of worker honeybees during the winter months. Since then, there have been mass die offs in many of the other 4,000 species of bees. In 2006, the phenomenon was bestowed with the name colony collapse disorder. No one is exactly sure why the bees are dying off in unprecedented numbers, but some theories include the loss of flower meadows, varroa mites that eat the bees’ blood, climate change, and the use of pesticides. Thankfully, bees are a long way from becoming extinct. Which is good, because as this list shows, it could be disastrous for humanity. Obviously, without bees we would no longer get honey. Humans have been harvesting honey for about 9,000 years. Beekeeping was important in early agriculture because bees pollinated crops, which allowed them to bloom, and it produced honey and wax. While most people think of honey as something you eat, it also has a bunch of different uses. Notably, it is used as an ingredient in the cosmetic industry. It helps keep your skin healthy and is great for the scalp. It’s also effective as a natural remedy for treating cuts and burns, so it’s found in balms. 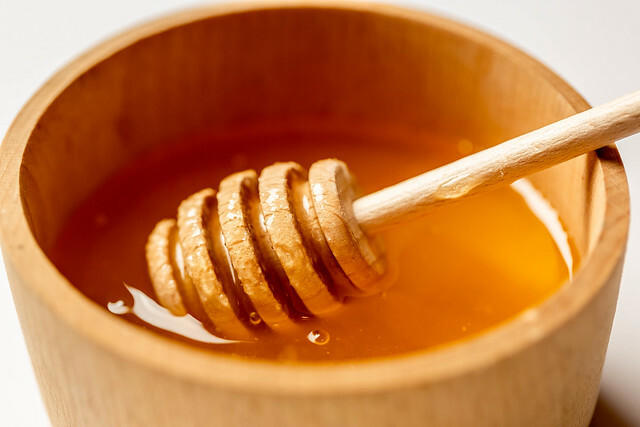 Another major use of honey is in cough medicine and lozenges. The honey helps both the taste of the cold aids and it helps soothe the throat. Honey is so diverse that in all the ways that honey is used, the average American uses 1.3 pounds of honey every year. Honey is also $300 million industry that employs thousands of people. So without bees, one of the healthiest and most versatile foods in history will become a thing of the past. Bees play a vital role in the world’s ecosystem. According to a report by the United Nations, of the 100 crop species that provide 90 percent of the world’s food supply, over 70 are pollinated by bees. According to the BBC, half of all the food in the grocery store would be gone if bees disappeared. This includes such everyday staples as almonds, apples, avocados, cashews, blueberries, grapes, peaches, peppers, strawberries, tangerines, walnuts, watermelons, and probably worst of all, coffee. Of course, the disappearance of these foods would have far reaching and dire consequences, which we will explore later in the list. So feel free to take a minute to mourn the possible loss of coffee before moving on to more bad news. One thing that we may be able to do to save a few of the plants is to pollinate them by hand. This is already being done in China, where they are suffering from a shortage of bees. Workers in southwest China take buckets full of pollen and paint brushes, and they go through apple and pear orchards, pollinating each blossom by hand by painting the pollen on to them. Children are used to get the blossoms at the top of the tree. If the bees were to completely die out, humans could use this method to pollinate some fruits and vegetables, but it will only be done on certain crops, especially ones that are incredibly valuable, like coffee. It couldn’t be done on all crops, simply because there aren’t enough people to pollinate all the plants that are currently pollinated by bees. Mostly because plants can only be pollenated in a small window of time, and humans are too slow and simply aren’t as efficient as swarms of bees that have been pollinating crops for thousands of years. An additional problem that humans will face in a world without bees stems from the fact that we aren’t the only ones who eat plants that are pollinized by them. Another major consumer is dairy cows. They need about 100 pounds of food every day and they have a rather complex diet. Most of what they eat, like alfalfa hay, needs to be pollinated by bees. Without the alfalfa, there wouldn’t be enough food for dairy cows. That means things like butter, dairy milk, and cheese will just disappear. Sheep and goats also eat is pollinated food, so don’t expect either of those to replace cows. In fact, we may start to notice this becoming a problem in the near future. Almond hulls, a waste byproduct of almonds, are often added to dairy cow feed to make the food less expensive, which, in turn, makes dairy cheaper. However, almonds are heavily dependent on bees and with the bee numbers dwindling, almond production will likely decrease as well. One other way this will be a problem is that dairy cows are also used for beef. About 17 percent of all beef comes from dairy cows. Without dairy cows, beef prices would also go through the roof. Not all the plants that bees pollinate are something we eat. They also pollinate cotton, which is a staple of the clothing industry. Can you even imagine a world without cotton? There is a good chance that you are wearing something that is made from cotton, or at least contains some cotton, at this very moment. To name just a few clothing items that contain cotton are denim, t-shirts, underwear, and socks. It’s also used in other everyday objects like bed sheets, shoelaces, disposable diapers, and toilet paper. While we can make clothing that is similar to cotton, like polyester, the problem is the new demand for these synthetic fabrics will put a tremendous strain on the materials needed to make them and they are not as plentiful as cotton is today. Needless to say, clothing in a post-bee world will be much different, and probably much more expensive. So if you are planning on throwing away that old t-shirt, you may want to hold on to it until you’re sure the bees are going to stick around. 5. What Will We Eat in a Post-Bee World? You may be wondering what we will eat if all the bees go away. As we saw, cows and beef will be affected, but how about pigs and chickens? The good news is pigs will pretty much eat anything (including dead people), and chickens eat non-bee pollinated food as well. That means that pork and chicken will likely become the staple proteins in many people’s diets. As for crops, wheat, corn, soybean, and rice do not need to be pollinated by insects, so they will still be plentiful. 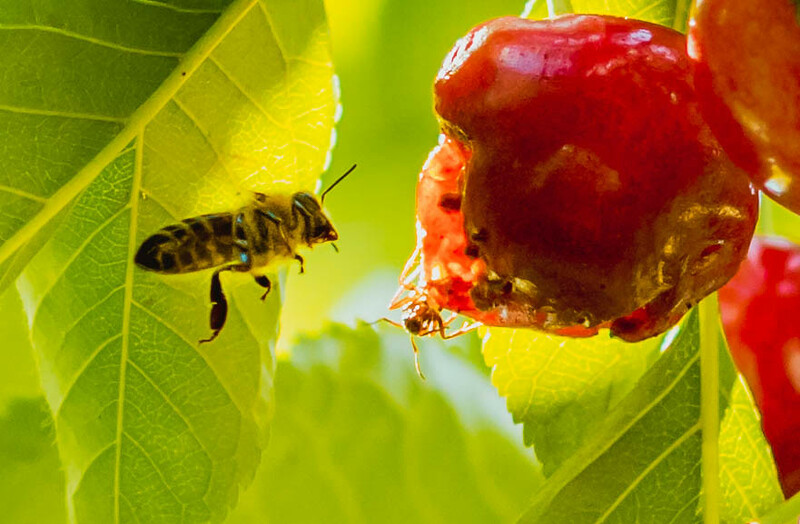 A few everyday staple fruits and vegetables that were pollinated by bees will also survive with human intervention. Potatoes, tomatoes, and carrots only need a small amount of pollination. However, the crop production would drop significantly. Also, you can say goodbye to a lot of different cooking oils like canola, coconut, almond, and sesame, which will no longer exist. One thing you’ve probably gathered throughout this list is that a lot of fruits and vegetables won’t grow anymore, food will be scarce, and while humans could pollinate plants (like we previously mentioned), that is only going to make food even more expensive. We don’t even have to wait for the bees to disappear to experience this. We’ve already seen this happen in places like Scotland. In the winter of 2012, more than a third of the honey bee colonies were destroyed. This led to increased food prices, simply because once something becomes scarce, the more expensive it becomes. This is especially true for necessities. If bees keep dying off the way they are, there will be a steady increase in the price of plants that bees pollinate like apples, cotton, and coffee, until there are no bees left. And then, who knows how much it will cost for a cup of coffee that was hand pollinated? Humans are complex machines, and we need different vitamins and nutrients to stay healthy. This complexity would become a huge problem if bees were to go extinct. In 2011, a study from UC Santa Barbara’s National Center for Ecological Analysis and Synthesis found that across the planet, bee-pollinated crops provide the majority of the lipids, a large portion of the minerals calcium, fluoride, and iron, vitamin A, C, and E. Without the foods, we physically wouldn’t do well. Vitamin A is needed for the immune system and night vision. Without vitamin C, scurvy could become an epidemic and while a lack of vitamin E doesn’t hurt us, we need it to help with the immune system. Many people would also suffer from iron deficiency. All of this would make us sickly, tired, and weak all the time. Wounds would take longer to heal and will keep opening up. Some people will have problems fighting the common cold. What is truly ironic is that honey helps with both of those problems. If all of that wasn’t bad enough, the foods that are pollinated by bees also contain nutrients that lower the risk of cancer and heart disease, meaning there could be elevated levels of both. Without bees, the world’s economy is going to take a massive hit. There are going to be industries, like coffee, cotton, and food production, that just wouldn’t exist anymore. This would have far reaching consequences. For some perspective, let’s just look at what would happen in the United States. The US is the third biggest producer of cotton, a $21 billion-per-year industry that employs 125,000 people. And that industry would vanish. As we discussed in entry seven, the dairy industry would probably disappear. Currently, there are over 47,000 dairy farms in all 50 states. While we couldn’t find an overall figure for the dairy industry in the US, we did find the figure for its largest dairy producer, Wisconsin. It contributes $43.4 billion annually. This doesn’t even include companies that make dairy products like Kraft, Saputo, and Nestle, who would probably fold without dairy. The reason that the dairy industry would collapse is because alfalfa wouldn’t grow. Amazingly, just growing food for cows is a $10 billion industry in the United States. Those are just three industries, and we could go on about apples, canola, almonds, and so on. But another problem we want to focus on is that this is just the US. Other economies throughout the world will also be devastated. Take, for instance, the $81 billion coffee industry. What would happen to developing countries like Ethiopia and Indonesia that rely heavily on exporting coffee? Needless to say, without bees, the world’s economy would collapse. Just like a colony. The good news is the demise of the bees probably won’t bring about a cannibalistic apocalypse where everyone starves to death. Darn, right? However, that said, famines are likely to happen, especially in developing countries. The reason that humanity will survive is because food crops like corn, wheat, rice, and soybeans grow without insect help. However, it would take a while to switch over to these crops. Our best hope would be if bees died off gradually. That would give us more time to prepare new sustainable food sources. If all the bees were to die off tomorrow, it’d put a tremendous strain on resources while farms were converted to grow corn, wheat, rice, and soybeans. During that time, famines would be likely. Without bees, it would be hard to sustain our current population, which is still growing. This simply comes down to the fact that food availability will drop drastically, and costs will increase. Which means less access to food for many people. Perhaps the most terrifying aspect here is that bees don’t even have to disappear completely for this to be a big problem. One of the big issues we face right now is that the human population is increasing, but the bee population is dwindling. That means there’s going to be less food and cotton, but more people to feed and clothe. Having a greater demand is never good when it comes to life essentials. So while humanity would be able to survive the demise of the bees, the only question is: do you really want to live in a world without wine, cheese, ice cream, and coffee? Bees are so important and we should all be doing our part in trying to save them!